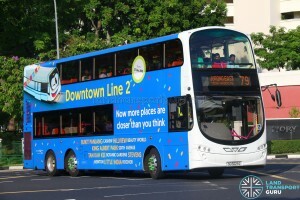 Tower Transit Bus Service 79 is a trunk route running from Jurong East Interchange and looping at Boon Lay Interchange, passing through Teban Gardens, Jalan Buroh, Jurong Port Road and Chin Bee Avenue. 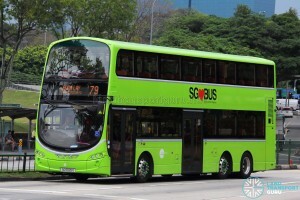 It largely serves industrial areas around the Penjuru, Jurong Port Road and Chin Bee areas. 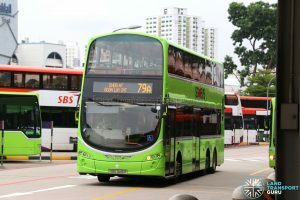 Service 79 is an industrial route connecting the industries at Penjuru, Jurong Port Rd and Chin Bee to Boon Lay and Jurong East, encountering heavy demand during peak hours. It also links Teban Gardens with Jurong East, running parallel to Service 143 & 143M. 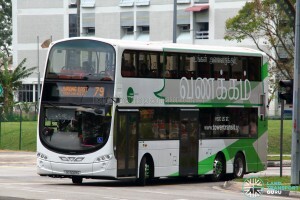 After 2220hrs, buses leaving Jurong East Temp Int will be renumbered as 79A and terminate at Boon Lay Int. 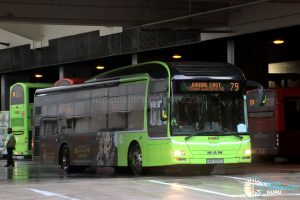 Service 79 at a glance. Click for larger image. 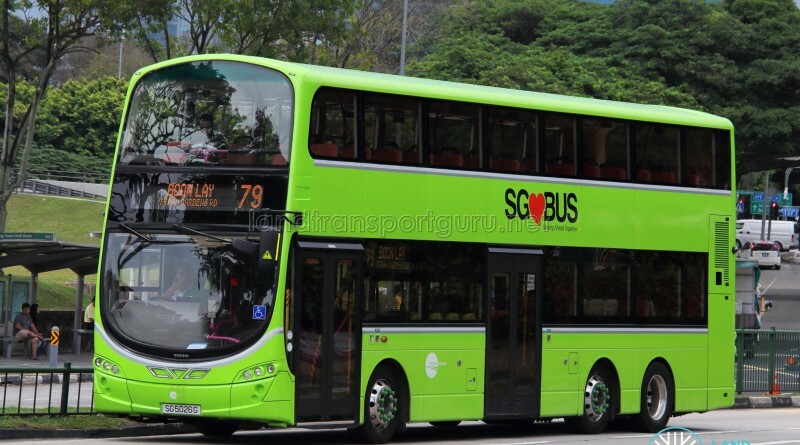 The Bus Service Operating License (BSOL) for this route will be renewed in 2021 under the Bulim Bus Package. 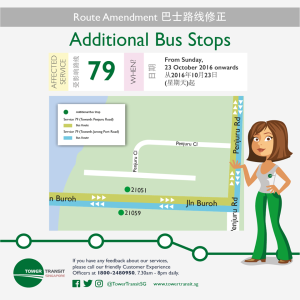 1995: Amended into Chin Bee Ave, Third Chin Bee Rd, International Rd and part of Quality Rd in both directions, with the amendment of service 246. 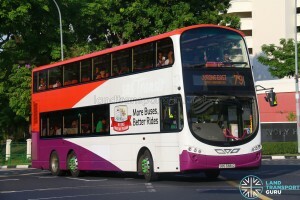 2001: Amended to skip one pair of bus stops along Penjuru Rd and call at a new pair along West Coast Rd, when parts of Teban Gardens Rd were closed. 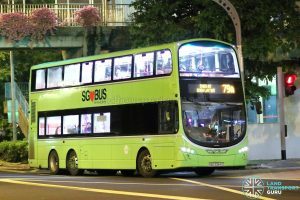 2016 (12 Jun): Operations transferred to Tower Transit Singapore Pte Ltd from SBS Transit Ltd. Short Trip 79A introduced, terminating at Boon Lay Int aft 2220hrs daily. 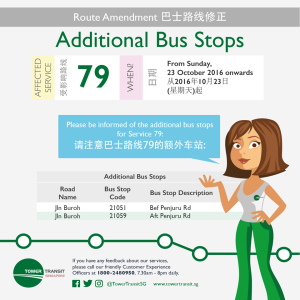 2016 (23 Oct): Calls at a new pair of bus stops Bef/Aft Penjuru Rd, along Jln Buroh. 1995: Amended to present routing. No significant route changes since 1995. 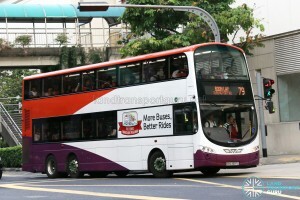 I realise the bus service 79 frequency has dropped “tremendously “. 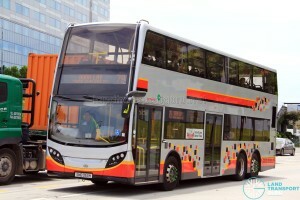 It takes more than 20min during the morning peak hour at around 0630 to 0700hr. 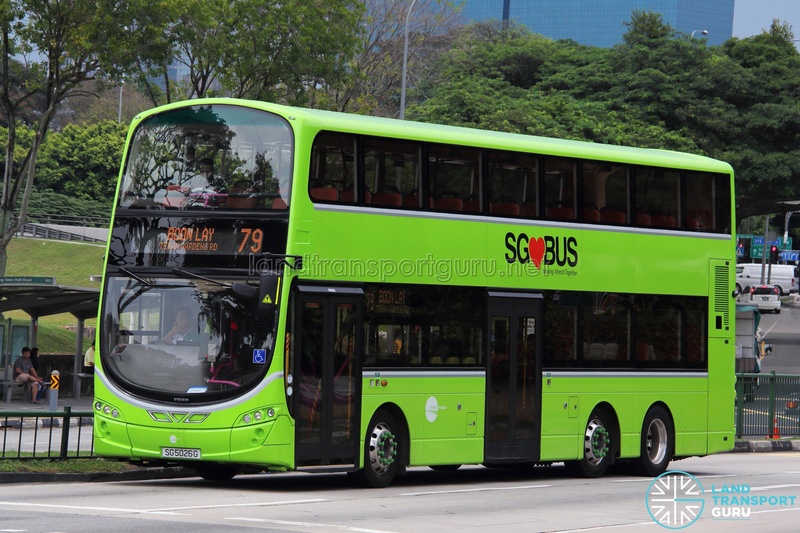 Are your bus drivers taken leaves due to school holiday??? Most people are complaining as we are daily users and never face such a slow down in the past. The service is ridiculous and inconvenience to the most. I’m so happy that the route is still the same?